My favorite buffet is at Cafe Too. It is truly to die for. There is a wonderful variety of foods offered-- dim sum, Chinese noodles, Indian curries, fresh seafood, and delicious made-to-order crepes. As to be expected from a 5-star hotel restaurant, the service is impeccable, and the servers are fluent in both Chinese and English. The restaurant also offers an a la carte menu, a great option for those who don't have large appetites. Monday to Friday the lunch buffet is HK$388 (US$50), and includes a coffee or tea. 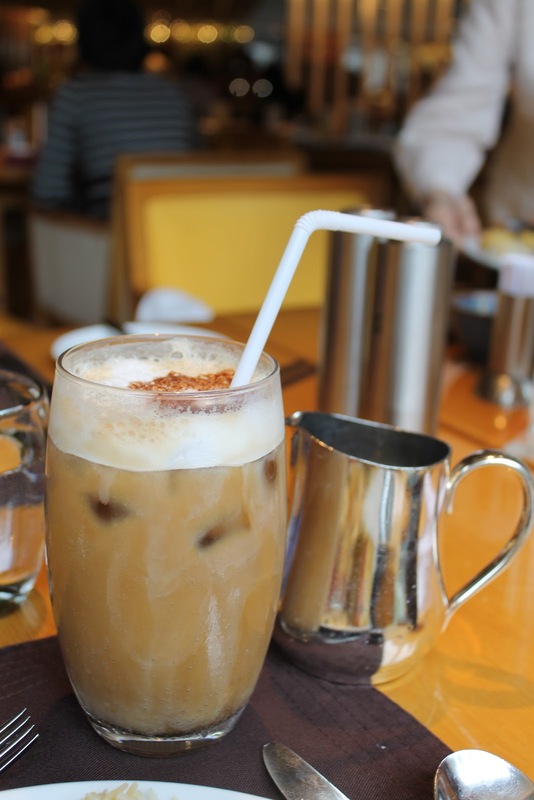 There is free valet parking (3 hours) if your restaurant receipt is for HK$800 or more. 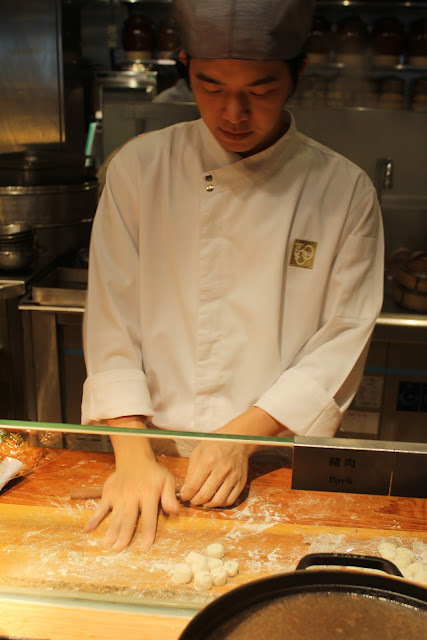 A chef making dim sum. Lots of dim sum and a window into the kitchen. Hainan Chicken Rice/海南雞飯 with soup. Mousse and tiny desserts in waffle cones. Jellos and cakes on plates matching the colors of the dessert. 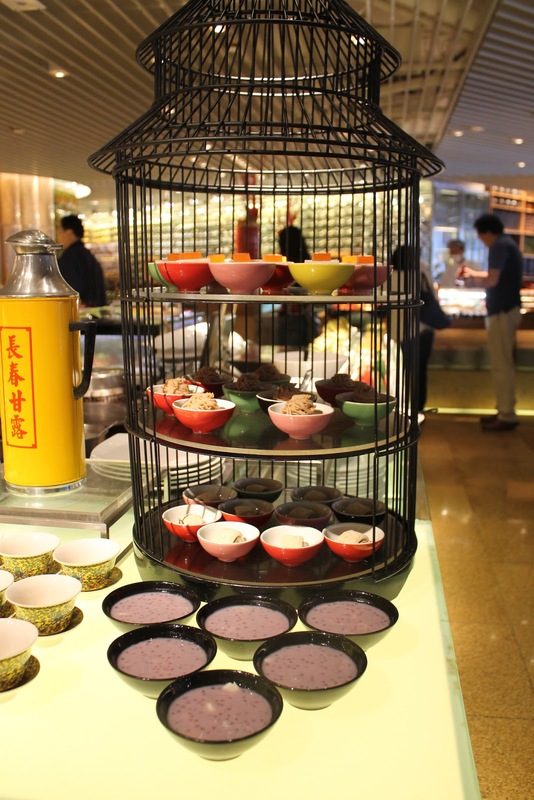 Chinese desserts in a bird cage. My made-to-order crepe. Decorated by me! (I had a lot of fun with the chocolate sauce and powdered sugar). Woah - that is a massive and awesome-looking buffet! It should include coffee/tea on weekends as well! Sorry for the confusion.